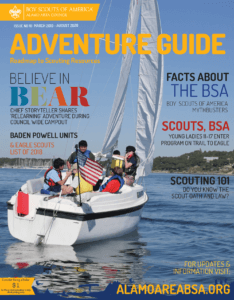 Scouting for Food is a region-wide food drive led by local Boy Scouts of America with the goal of collecting 20,000 pounds of food for those in need, with a focus on youth. We are proud to continue this partnership in the community. 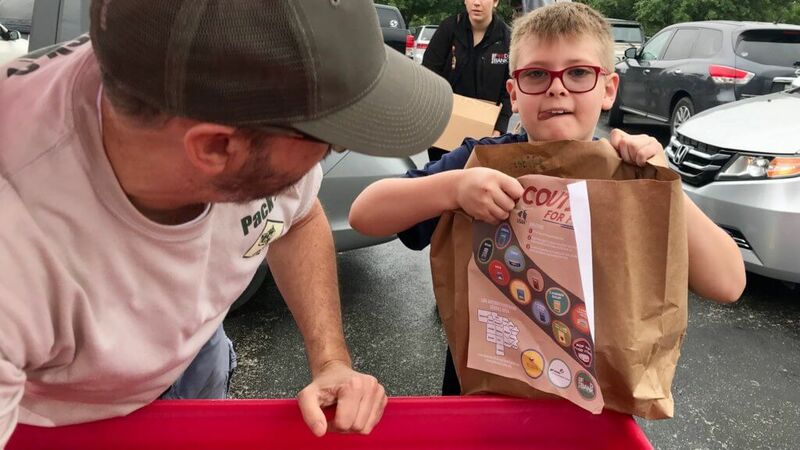 On Saturday, May 11, 2019, Boy Scouts of America all over San Antonio communities will deliver empty paper bags donated by H-E-B throughout your local neighborhoods. The bags include instructions with which non-perishable items are most needed. You can then leave the full bag on your doorstep early the following Saturday morning May 18, 2019. On Saturday, May 18 , 2019, as early as 8 AM, Boy Scouts of America will retrace their steps, pick up the filled bags and deliver them to drop points throughout the region where the San Antonio Food Bank will have trucks waiting to collect the bags. **If your Pack/Troop/Crew is unable to participate on those dates, you can adapt this project to what works best for you! These are just a few ideas and you can make this event your own. Please recruit leaders and parents to cover your unit’s territory. The Alamo Area Council has partnered with community organizations to coordinate drop off centers across the 13 county area in which we serve. More information on this event will be distributed at leader Roundtables and emailed out. 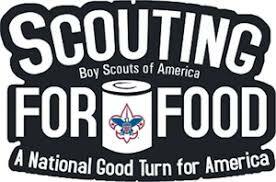 For more information, contact Alamo Area Council Scouting for Food team by email at ScoutingforFood@AlamoAreaBSA.org. To learn more about hunger in our area, visit the San Antonio Food Bank’s website, www.SAfoodbank.org. See what the 12 most wanted items are on the SA Food bank website. 1 in 4 children in Bexar County alone are food insecure. Nearly 40% of the Food Bank’s emergency food recipients are children. Each week, the Food Bank’s Kids Cafes provide more than 3,500 after-school meals to children in need.